Iran’s judiciary banned reformist newspaper Ebtekar on Saturday for “spreading lies”, ISNA news agency reported, making it the third such publication to be shut down by authorities in recent months. “I received a note from media court which said a ban has been imposed on the daily for spreading lies,” Mohammad Ali Vakili, managing director of the daily, told ISNA. ISNA said the ban was imposed because of a headline in Thursday’s edition for a story about the replacement of the country’s prisons chief over reports of violence against political prisoners. “The headline of one of the Ebtekar columns read prisons chief was dismissed, while he has been appointed to another post and not dismissed,” ISNA said. According to opposition websites, several inmates in the notorious Section 350 of Evin prison were beaten after scuffles broke out at a cell block, with some of them seriously wounded and taken to hospital. After the incident prisons chief Gholam Hossein Ismaili, was replaced by Asghar Jahangir and appointed to a senior post as head of the justice department in the capital. A judiciary spokesman said Ismaili’s reassignment “had nothing to with what happened in Section 350”. Iran’s judiciary system is controlled by conservatives who frequently clash with the government over policies they deem to be too liberal. In February, the judiciary banned newly launched reformist daily Aseman and arrested its managing director over an article deemed insulting to Islamic law. He was later freed on bail. Bahar, another reformist newspaper, was ordered closed in October for publishing an article seen by critics as questioning the beliefs of Shiite Islam. 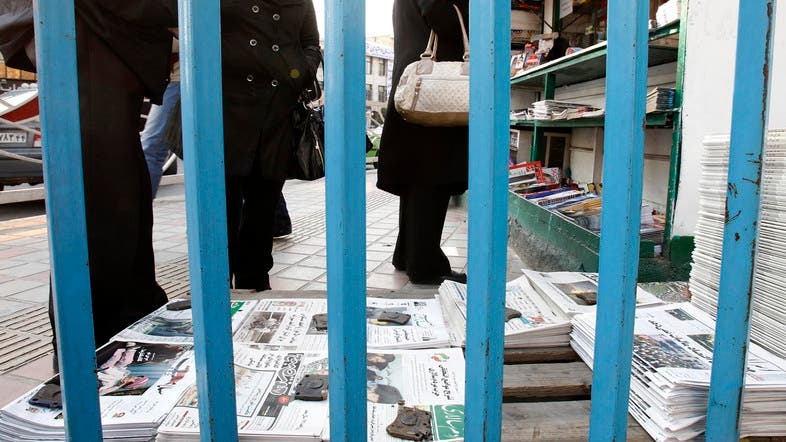 An ultra-conservative daily was temporarily shut down by a press watchdog linked to the Culture Ministry in March for criticising Iranian President Hassan Rowhani. The ban, however, was revoked this week. Rowhani, a reputed moderate who was elected last June, has pledged to work for more cultural liberation and social freedom.